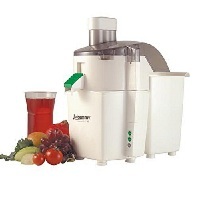 The Juiceman II Elite used to be a great option if you were looking to buy a juicer. Now it is hard to find them because they have been replaced by a whole line of new juicers. If you are looking to buy a juicer, you may want to look at the pros and cons of the Juiceman II Juicer before you choose your next juicing machine. This brand of juicers used to carry some of the best juicers on the market. However, Jay Kordish, the original “Juiceman” used to oversee the juicers to ensure that they were the highest quality machines out there. However, once the company was sold, there seems to be an increase in complaints from customers and a decrease in overall quality of the machines. Other brands like Breville and Omega are starting to take over some of the market that used to be dominated by these TV infomercial gurus like Jay Kordish and Jack LaLanne because their quality is better. Like any juicer on the market, the Juiceman II Elite does has its pros and cons. It has a powerful half horsepower motor that out-performs many cheap juicers on the market. 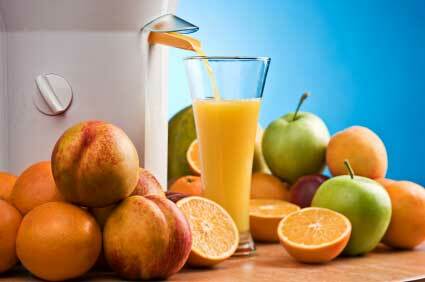 Automatic pulp ejection allows for continuous juicing. Fewer parts than many other juicers allows for easier clean up. The detachable pulp basket holds any plastic produce bag as a liner to easy and convenient cleaning. It operates with two regulating speeds so it can differentiate between soft and hard produce. This model is extremely loud when running compared to other juicers in its class especially when you juice hard vegetables like carrots or beats. The chute is too small to juice many whole fruits and vegetables like a Breville juice extractor could. While this juicer can provide juice for your family, there are other options that are much better without spending a great deal more on a juicing machine.